"A GRANDFATHER CLOCK. A GLASS LOCKET. A POWERFUL CURSE UNLEASHED ON CHRISTMAS EVE. Twelve-year-old Kitty Wigeon can't wait for Christmas at St Flurries, a grand old manor house in the countryside, until one chilly night she vanishes without a trace. Wrap up warm as you join Kes, and a cast of eccentric snow creatures, in a race against time to solve a hundred-year-old curse. Will he succeed? Or will the fate of his sister be decided by a shivery kiss from… the Snow Witch?" If you're looking for the perfect holiday-vibe book with a bit of mystery, magic, and entertaining characters, then The Snow Witch is the book for you. This is a delightful middle grade story that follows a young brother and sister, Kes and Star, as they move into a new house in the countryside with their grandmother whom they've just met for the first time. This book was such a lovely blend of fairy tale, fantasy, and family that I truly enjoyed reading and that felt like the perfect book to start off the month of December with. There are some serious themes and moments explored, but there are also plenty of lighthearted moments that help to keep the spirit of this story high. The Snow Witch is told from two main perspectives, one from Kes' POV in the present day and one from Kitty's POV from the early twentieth century. I really liked that Boyes decided to tell the story in this way because it really helped bring both storylines lines to life, and they ended up connecting in a really clever and well-written manner. Since Kitty's POV took place in the early twentieth century, the first World War did play a bit of a background role and I found it very interesting how Boyes incorporated that element into the story itself and its impact in the lives of her and her family. The characters were well varied in personality and a delight to read. Kes and Star are curious, kind children who have had to make the best of a rather unfortunate life situation. I admired Kes for his caring nature and how he had to take on such a mature role to take care of his younger sister; it really put into perspective what these two kids were going through in their lives and their apprehensive nature towards new people. Kitty was also a character that I found to be very endearing, and I appreciated how authentic her actions felt throughout the story. The rest of the characters that inhabit St. Flurries were such fun, from the harried cook to the stern yet merry staff members. As much as I enjoyed this book, there were still a few inconsistencies in the writing that I noticed. Most of these seemed to be more of the early writer types of issues and weren't anything that majorly took away from my experience. One of these was a bit of consistency with the dialogue, such as when Kes, an eleven year old, used some words and phrases that just did not seem to fit in with his age or the time period. There were also times when Kes was described in a way that also felt younger than his current age, as well as older, which felt a bit off. There were also a few metaphors and sentences here and there that felt slightly overdone or unnecessary and it seemed like a bit of editing could tweak those into perfection. That being said, these issues were definitely minor and I think that the more Boyes writes, the better and better they'll get because this book was so fun and shows so much potential. 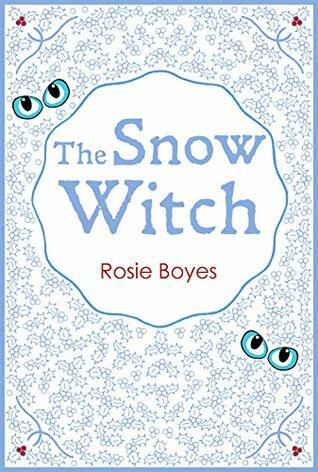 Overall, I've given The Snow Witch four stars! I honestly enjoyed every minute of reading this book and think it would be perfect any kid or adult looking for a lighthearted and entertaining wintry read. I really look forward to seeing what Boyes writes next!